TransUnion lets you file a fraud alert online easily and forwards the information to Equifax and Experian. Equifax I never heard anything from. Experian sent me a letter requesting a copy of my driver's license with current address, proof of my SSN and other stuff. 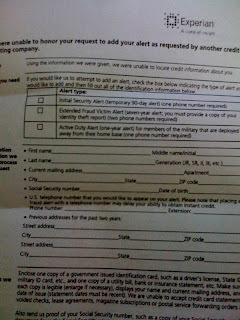 They do not make it easy to file a fraud alert at all.